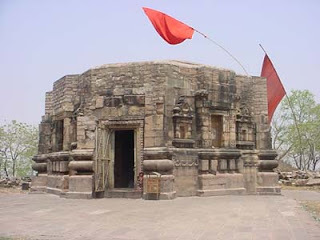 Mundeshwari Temple in Bihar – Is it the oldest functional Hindu Temple in the World? Ma Mundeshwari Temple in Kaimur District of Bihar was recently in news due to the planned renovation and restoration by Archaeological Survey of India (ASI). Newspaper reports suggested that Mundeshwari Temple was built in 108 A D. Since then rituals and worship have been taking place at the temple without a break. Thus making it the oldest functional temple in the world. The use of the term ‘oldest’ is a bit risky when talking about temples associated with Sanatana Dharma (Hinduism). Simply because no one has been able to clearly state how old Sanatana Dharma is. Say this temple is the oldest and immediately another person will be come with something much older. So the safest option is to say that Ma Mundeshwari Temple in Kaimur District of Bihar is one of the oldest Hindu temples in the world. Ma Mundeshwari Temple is situated atop the Kaimur Hill (608ft). The temple is in an octagonal shape. The sanctum sanctorum of the temple has an idol of Devi – Mundeshwari. 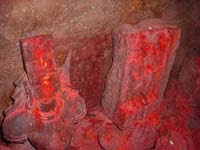 There is also a ‘Chaturmukha Shivling’ in the sanctum sanctorum. A clear indication that Shiva and Shakti were worshipped here. Also an indication that the temple might be part of the Tantric cult which is quite popular in the Eastern part of India. Experts believe that the temple was built during the Shaka Era. Interestingly, the present caretaker of the temple is Muslim, yet another example of the religious harmony at the grassroots level in India. 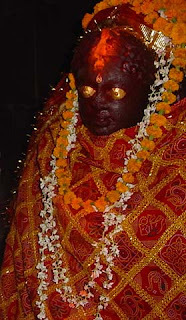 The temple attracts devotees during festivals like Ramnavami and Shivratri.